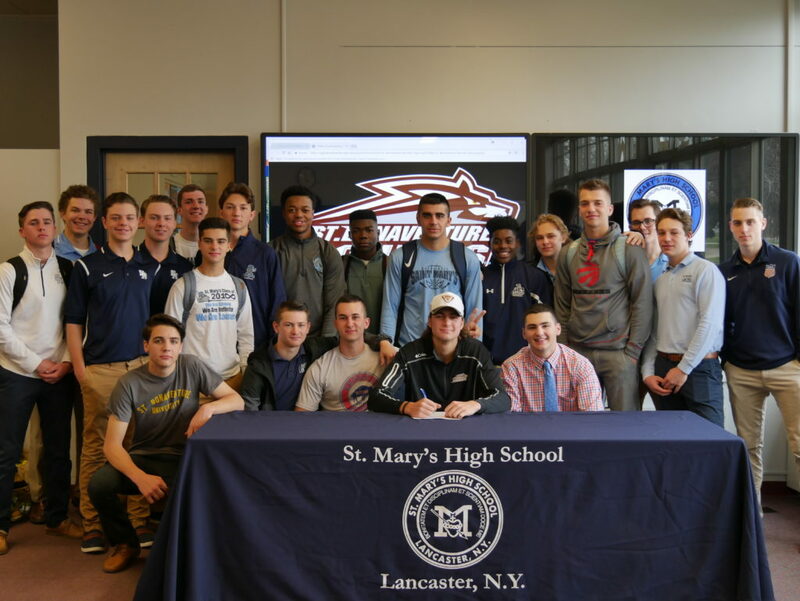 Juniors Cole Laskowski and Chris Neino and senior Christian Szablewski were named First Team All-Catholic for the 2018 baseball season. Senior Pat Basil was also named Second Team All-Catholic. Congrats, boys! In a game that lasted over two days—yes, that’s right, two days—St. Mary’s fell to St. Joe’s in the deciding game three of the semifinal series for the Georgetown Cup. The Lancers were up 2-1 with one out in the bottom of the fifth, when lightning struck—literally— and play was suspended until the following day. Picking up right where they left off, the Lancers couldn’t hold the momentum, losing 3-2 in the 14th inning. Despite the heartbreaking loss, it was another great season for Lancers baseball! 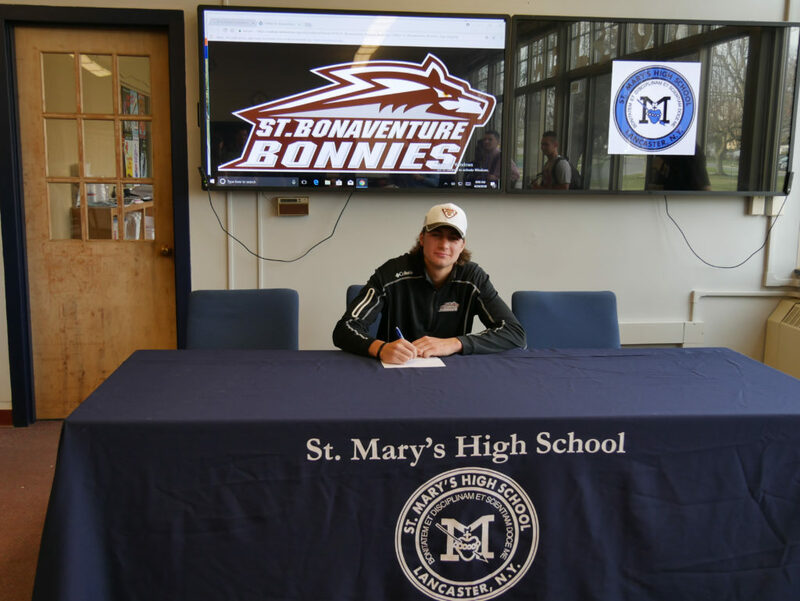 St. Mary’s High School senior, Christian Szablewski, signed his letter of intent to play Division I baseball at St. Bonaventure University. 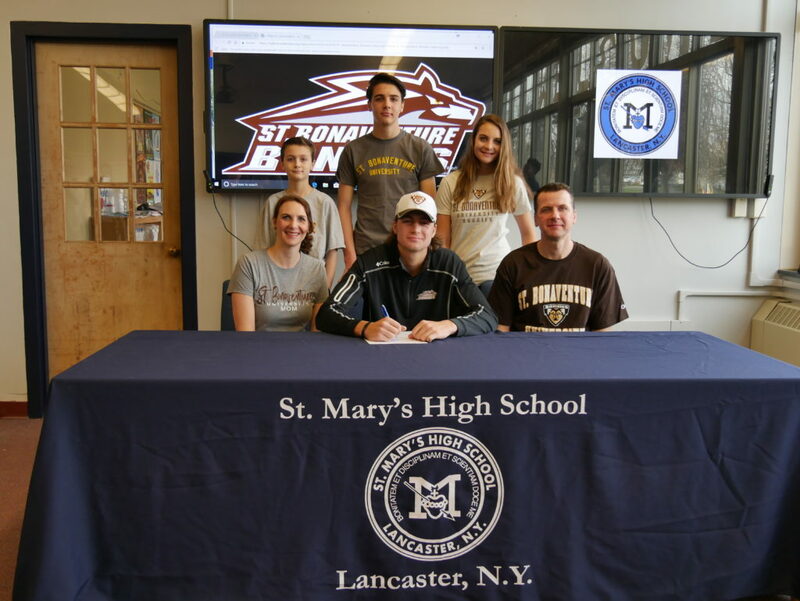 Christian was joined by his parents, Tim and Leigh Szablewski and his siblings, Luke, Emalee, and William, to sign his official letter.